Kaneki Ken had the most liked content! Read your opening rankings firaga. I agree on most of it. For me however, the top two is switched around. A friend of mine introduced me to Naruto during the english version of Sasuke Retrieval arc. I barely had an idea of what's happening, and it was my first exposure to actual anime content. I remember tripping nads when i first saw how extremely violent it was at the time since my parents didn't want me watching violent stuff back then. It was when Kiba, Shikamaru and Naruto started fighting their respective enemies. I told myself i wasn't gonna watch it again, but i checked out again the next week. . . and well you know. . . I got into it. It was due to the opening Seishun Kyosokyoku and how epically animated and put together it was. I wanted to see what happens when Naruto and Sasuke combat with each other. Would Naruto win and bring him back? that was on my mind at the time. Hell, after getting better at the guitar, I even learned how to play this song. I guess you could say that I got into the series a little late, but if it weren't for my friend, I would've never started spiraling down the world of anime/manga. Markus got a bit excited when Maka and Soul presented themselves to the new recruits, but he managed to keep his cool and channeled it properly. "​Was geht ab (​What's up or happening) guys? Name's Markus Neumann. The introvert next to me is Melody." Markus said before getting hit in the back of his head by the hilt of Melody's katana. "Apologies for my partner's rude behavior. I'm Melody Mukizu. It is a pleasure to meet you Maka and Soul. I've read of great things relating to the Spartoi, and I am honored to work with Spartoi." Melody calmly stated as Markus gets up rubbing his head. Totally uncalled for​. Markus thought. "Thanks. You all were not too shabby yourselves. Looks like we all did some good training to get to where we are now!" Markus said to the others. Melody nodded and turned towards the door to Death's office. "Extraordinary performances indeed." was all Melody had to comment. She ponders on when Death will let the students in to be briefed on their first mission as a Spartoi unit. Based off of the manga, and anime would've been amazing (Ignoring Fang's terrible design). I've read those books since I was 12, and stuck with the series, good or bad: That movie made me want to barf. I only saw it on download, though, so no great loss. I saw it on Netflix. And I would agree that Fang's design is terrible in the manga. They captured the brooding emo design, but the hair is just not right ._. I think they were trying to make them look Japanese. All this time waiting, I'd almost prefer an animated film than what we got. I think you already know this, but your pikachu will never evolve in this game and will deny the Thunderstone. Get another one from trade. 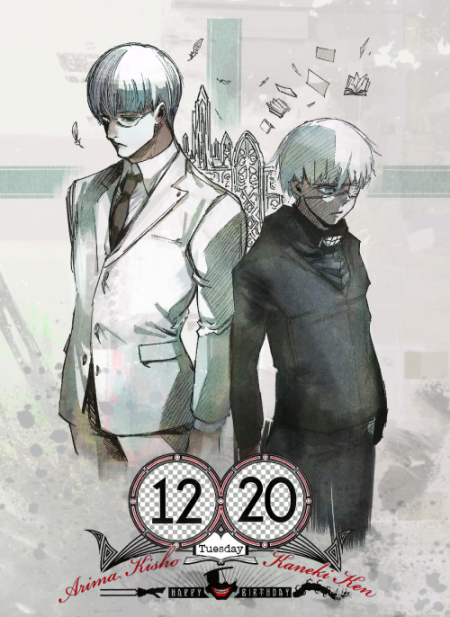 I see you caught the TG bug How far are you into :re? Haha yeah I get that And awesome! Then that's something to look forward too. And lol, like with every manga One question answered, 5 new appear. Get to posting Roleplayers. I'm only seeing a quarter of the Roleplayers posting freuqently on here. If you are busy with life, this is what the signups is here for. If you have no interest at all, please say so here, but I encourage you to take at least 5 to 10 minutes of your time to post in the RP any chance you get. Gaku and Harmony's guards immediately went up when the Nobodies begin to spawn in the area. "Look out!" Harmony yelled as she slashed one of the Dragoons down. "Maybe they want to be tour guides? Thanks, but I'll have to turn down the offer." Gaku joked as he performed a reversal behind the dusk and slashed it down. He immediately went up against two of the Berserkers combo attacking the two, then bounced off of its weapon and delivered to Dark Fire spells obliterating the Berserkers. Harmony entered a standoff against the Samurai and drew her keyblade a la Zantetsuken motion immediately obliterating the Samurai as she chained her combo against the Assassin finishing it off with a Blizzard. "Whew! Not bad!" Harmony said. Darwin wins hands down. That last line made me went "Oooooooooooooooohhhhhhhhhhhhhh. . . Burn!" Finishing sorting his thoughts out, Gaku decided to follow the group. He chose to do so due to having no knowledge or clues about what path to take for the trial. He looked at Sasuke who is still probably dozing off and jumped off the tower. "Sayonara." Gaku said. He fell down and floated midair before landing softly onto the ground close to Zek. "I'm gonna head where the train went. You expressed thoughts of heading over there, so I'll carry you there." Gaku said. He grabbed Zek, jumped up and flew towards the Mysterious Tower. Harmony got off the train and took in the sight of the lone strange tower in the middle of the island. ​What a cool place. Looks really old. So this is where Yen Sid lives? ​Harmony thought. She was about to go inside the tower until spotting a figure flying in the sky. A closer look brought joy to her as the figure revealed to be Gaku and Zek. The two landed safely into the ground as Harmony ran up to them. "Hey guys!" Harmony said. She then looked at Gaku. "So I take you're gonna be joining us for the ride?" Harmony asked. "For a short while until I am clear on the path I should take." He looked at the tower in interest. ​So this is Yen Sid's tower huh. . . Crooked and strange. Sounds like a home to a wise person. ​​Gaku thought. The two heard Jacob's yelling and immediately went into full alert as they summoned their Keyblades. "Let's go!" Gaku said as he began to run inside. "Right!" Harmony said as she followed suit. Upon catching up with the group by the door to Yen Sid's room, Harmony came up with an idea. "Gaku. Scan the room behind the door." She said. Giving a small nod, Gaku leaned against the wall and focused inside the room using his abilities. "Two figures. The older one with the beard I would assume is Yen Sid and some adult. Talking about prophecies or some sort. I do sense powerful magic inside there, but nothing of harm. I assume they are already expecting us, so go knock on the door." Gaku informed the others. Cam, I got ya handled. Let me work on this next post in a few minutes. Also, Clouded sun, You have three methods. One, Have your character take off on the train back to his homeworld or future sole journey. Two, kill him off in gruesome way possible. (don't prefer, but up to you) three, We pull a Namine and pretend the character doesn't exist. Are you leaving the RP due to catching up problem?